Customers don’t shop and compare diamonds. Only half of the people I speak to will actually say they shop and compare. This means that 50% of the people buying a diamond might be overpaying, or even worse, getting ripped off. Listen… You can’t disregard shopping and comparing. It’s something you have to do, and you have to learn how to do it right. If you’re looking at an SI1 clarity, G colored diamond at one store, you should look at an SI1, G at the next store. This is the only way to truly know who is giving you the better deal. Comparing an SI1, G to an I2, F will not tell you anything. Go all around the city (and online at James Allen and Blue Nile). 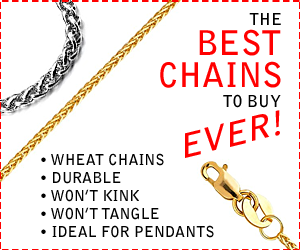 Visit every jeweler you can. Compare similar quality stones. It really is an eye-opener. If the diamond you’re looking at is not certified, then the quality could be anything. What the jeweler says it is, is what you’ll be getting. It may not be the color and clarity stated. It could be grade bumped. Buying certified puts the quality of the diamond in writing. It keeps the jewelry store honest. You have to buy certified diamonds (diamonds that come with a diamond report from GIA). Trying to remember 20 different diamonds, quality, sizes and prices is never going to happen. You’ll end up confused “Was it an SI1 or an I1?” Wrong answer… Try again. Write everything down. Don’t leave this up to the salesperson, because usually they will just jot down a couple of things on their business card. That’s not enough info. You need to write everything down. List the jeweler, diamonds, sizes, certification, cut, color, clarity, carat weight, and above all else, list the bottom line price. That way, at a quick glance, you’ll be able to compare diamond qualities and prices. I created a free downloadable printable PDF sheet that will help you compare apples to apples and diamonds to diamonds. It lists just about everything you need to totally compare every aspect of a diamond. Get the diamond buying checklist here. Even if the diamond is certified, even if they give you all the details about the diamond, do not take it for granted. Look at the diamond under 10x magnification (with a microscope or a 10x jeweler’s loupe) to really see what’s inside the stone. Viewing flaws and inclusions will show you if the diamond plot is accurate, and if the clarity is accurate. Shop smart. View the stone. It will verify the diamond report (see how to read a diamond report here), and it also gives you peace of mind. If one store has a 90 day money back guarantee, it could make a big difference (some stores offer a no return policy). If one jeweler offers a lifetime trade-up policy, or an even-exchange policy, it could make things easier in the future. Do the jewelers guarantee the diamond? If so, what happens if you move? What happens if you lose the diamond or chip it? Do they offer a service plan that covers the mounting? Sometimes a diamond may cost a little bit more at one jewelry store (certified diamonds usually do), but when you look at the big picture, it may be a better choice. Lastly, don’t be worried about the retail price. The manufacturer’s listed price doesn’t mean squat. What matters the most is the bottom line price. What’s it actually going to cost you? That’s the amount you need to focus on. Any jeweler can hike up the retail price to make it look like a great discount and a great deal. Anybody can double the value so a jewelry appraisal looks good. Don’t be fooled by it. Look at the final figure only. How much are you going to pay? That’s what you need to know. Only then will you know that shopping and comparing really does work. It helps get you a great diamond and a great price. 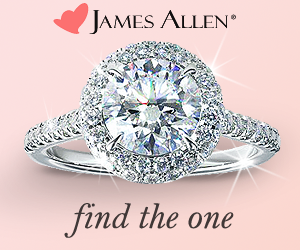 Check out the prices and diamonds at James Allen and Blue Nile today.